LGBTQ athletes competing at the 2018 Winter Olympics had a strong showing during the first weekend of the Games. Only seven of the 14 out athletes have competed so far in the games, but three LGBTQ athletes have already won medals in their events, according to a tally by Outsports. 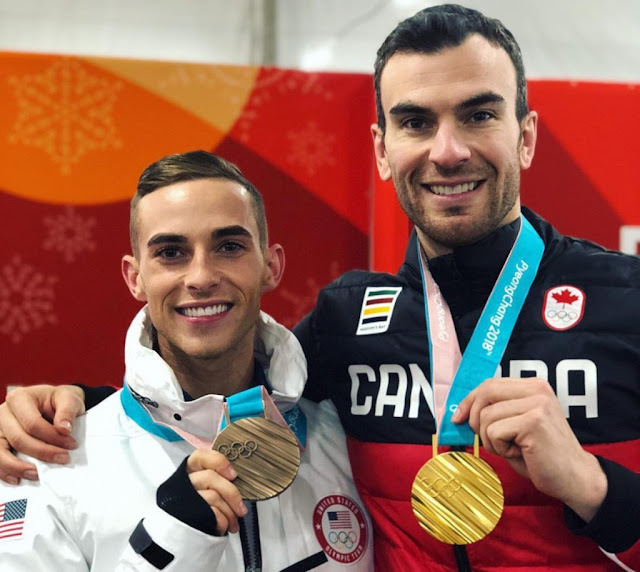 Canada’s Eric Radford and United States’ Adam Rippon both took home medals in team event figure skating — Rippon received bronze and Radford received gold. Radford has made history, not only as the first gay man to win a Winter Olympic medal (a title he shares with Rippon), but also as the first gay man to win gold at the Winter Games. Meanwhile, Dutch speed skater Ireen Wüst won silver in her 3,000-meter race, narrowly losing out on gold by just .08 seconds, while Swedish ice hockey player Emilia Andersson Ramboldt played 21 minutes to help her team best Japan in a 2-1 opener.